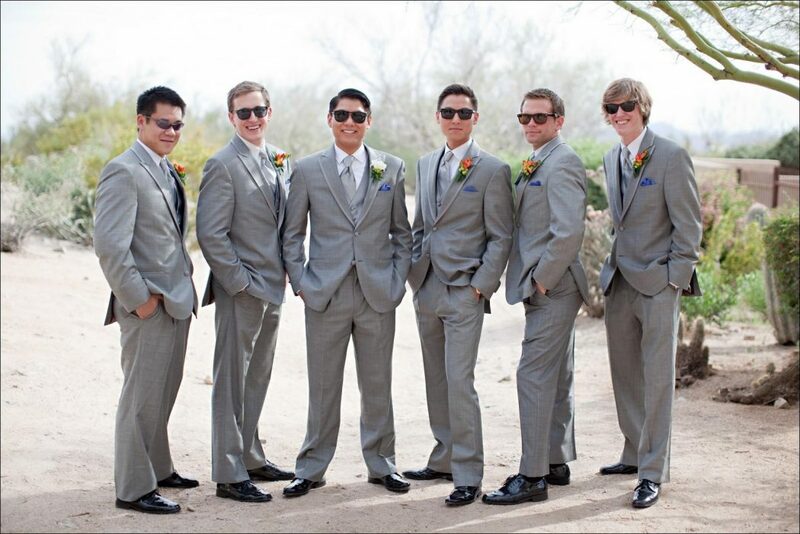 Weddings are really happy and special incidents in many people’s lives. 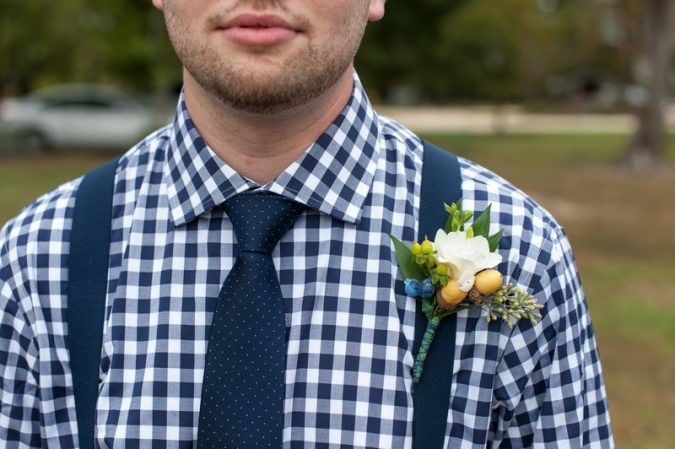 Although weddings are supposed to be fun and everything, it might be a bit stressing for those men who hate being limited to a certain outfit, and that applies to whether grooms or guests. 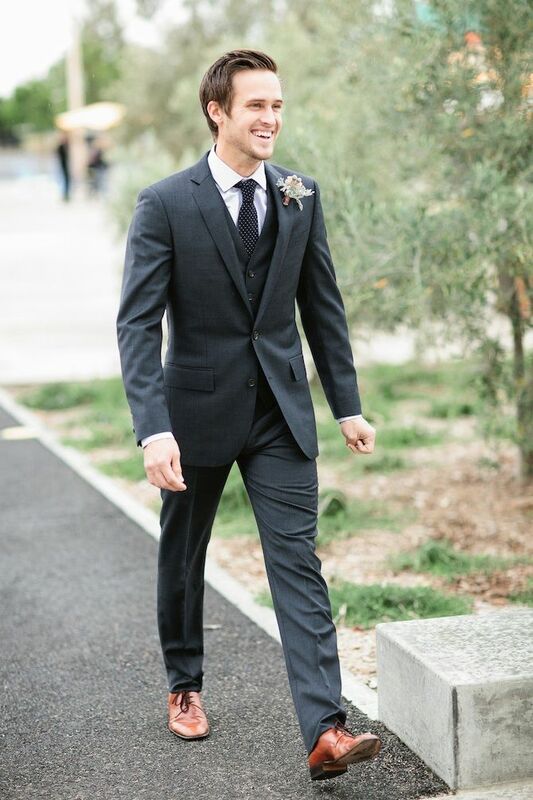 Well, one advantage of being the groom is that despite all the anxiety and the excitement accompanied on that day, it’s always easier when it comes to choosing an attire, for the choice will always be an elegant suit, while the attire options are various for anyone who is attending as a guest; it is not always easy to pick up something that is both stylish and comfortable altogether. 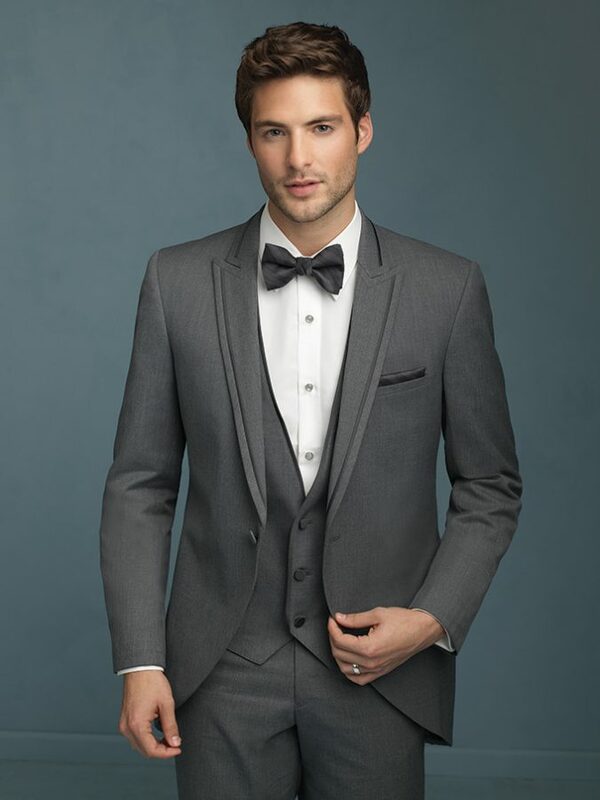 Wearing a tuxedo is always a traditional and perfect option to go with, but it does not necessarily work for everyone. 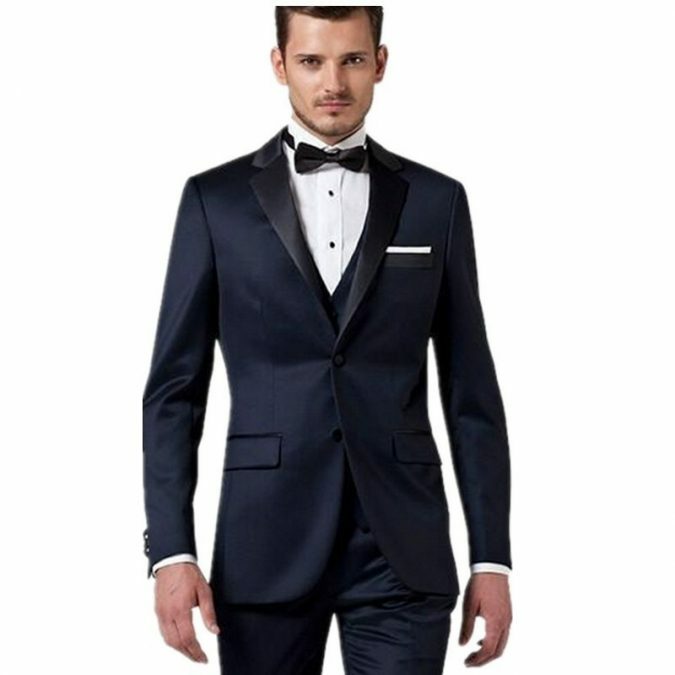 In fact, there are other several selections to choose from, and you can keep your attire simple and elegant with the right colors contrasting, taking care of the proper accessories needed to rev your look up, and putting on the perfect pair of shoes. 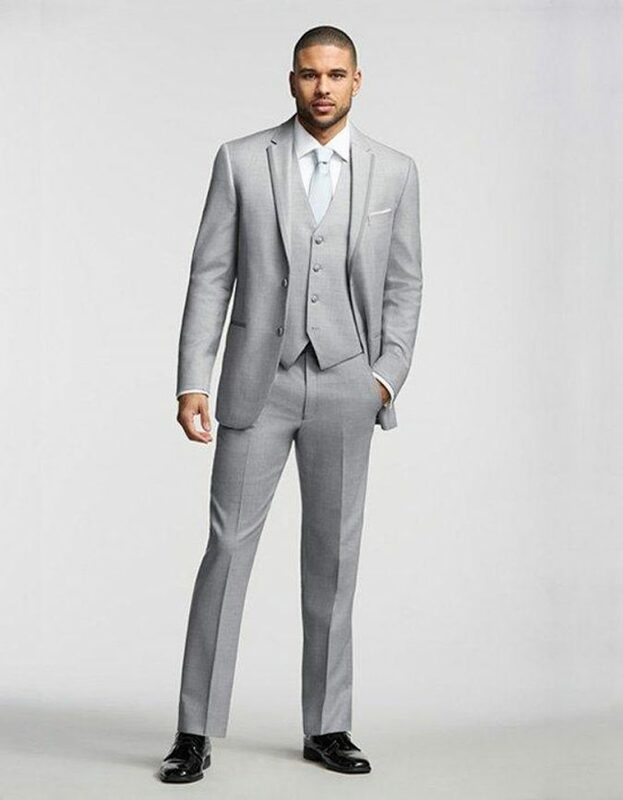 Following is a list of men’s wedding attires ideas that is both comfortable and sophisticated. 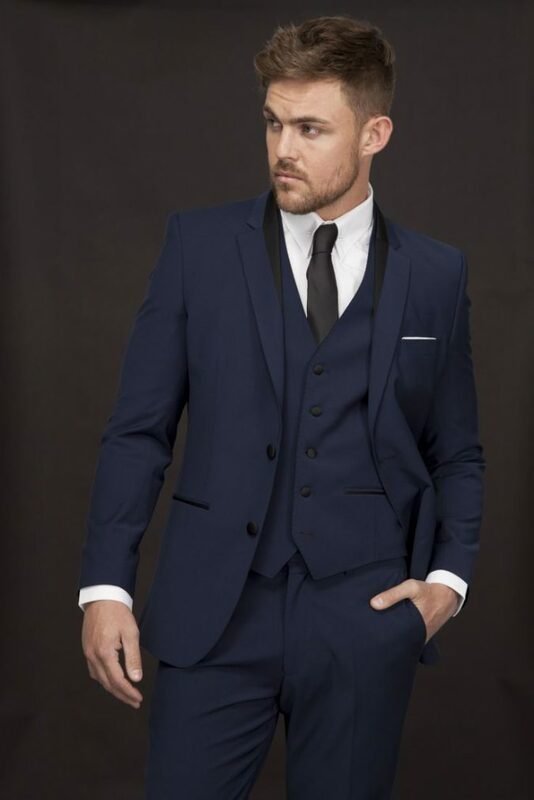 Wearing formal outfits always make you look classy and elegant, which is exactly how a classic black suit will make you look like, especially if you wear a purely plain white shirt along with it and a simple black tie. 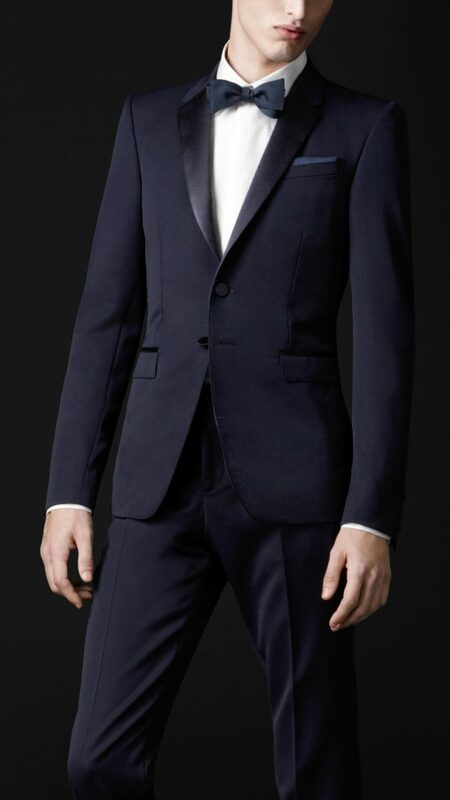 The contrast between the black and white never fails in introducing you perfectly. 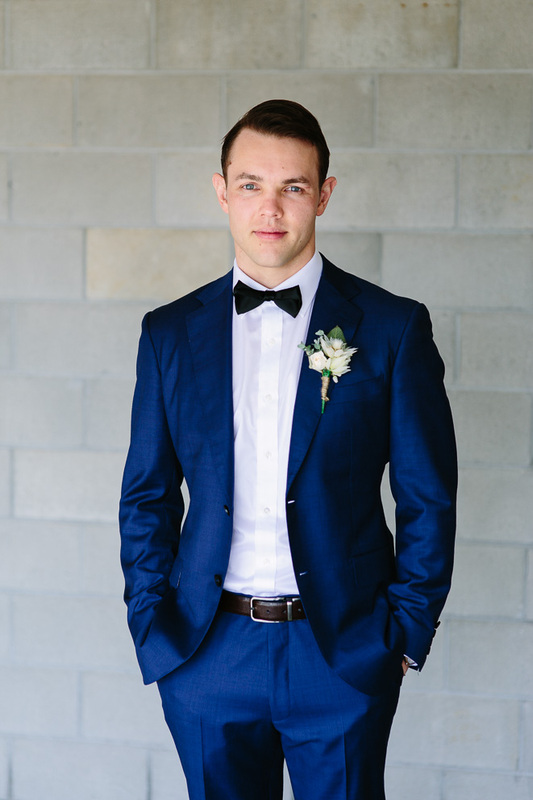 If you are someone who loves wearing classy suits, but you are just bored with how they look, you can rev you look up by picking up a brightly colored suit instead of a black one, and let that color be gray, so you still fall in that classic looks category. 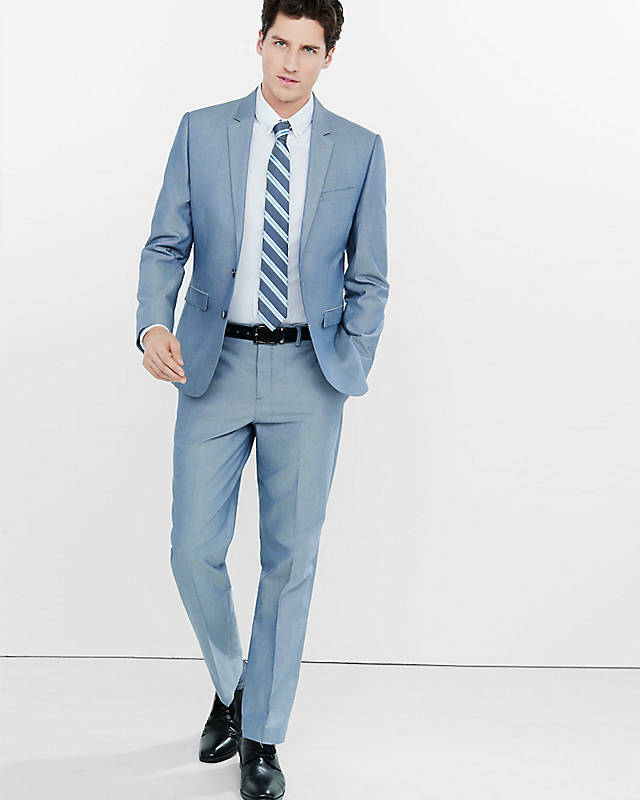 Blue is going to be the new black when it comes to classic suit wear. 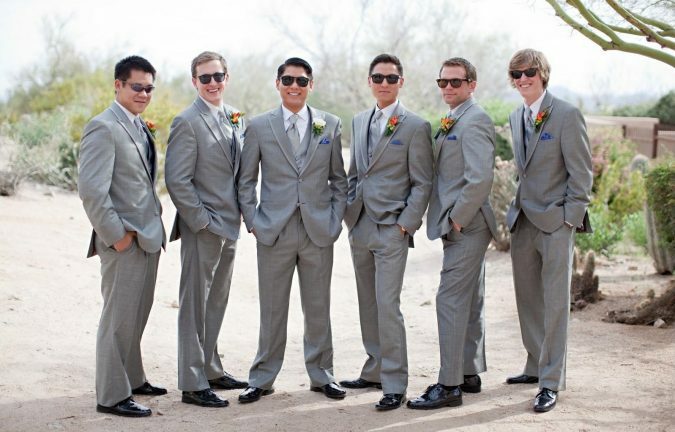 They are both classy as well as stylish, and they can give you that charming look that will grab the ladies’ attention. 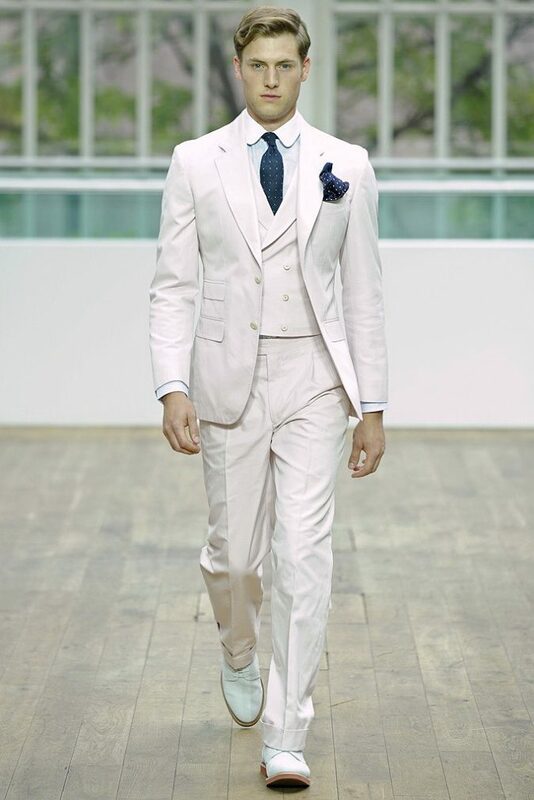 Wear a plain white shirt below it along with a pair of black leather shoes and they will all guarantee you a perfect façade. 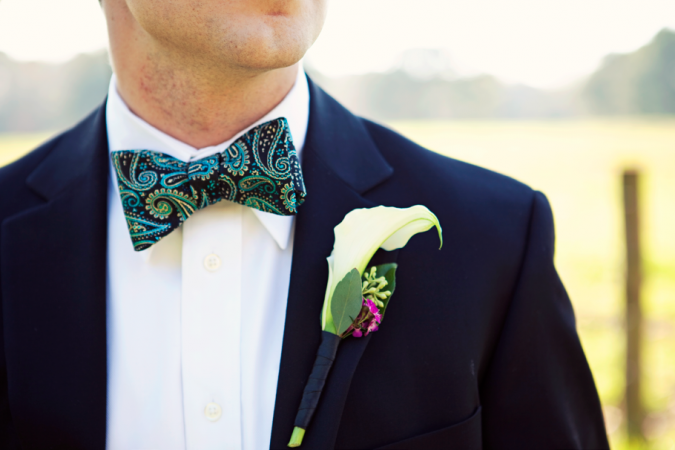 And it would be really nice adding a classical black bow tie. 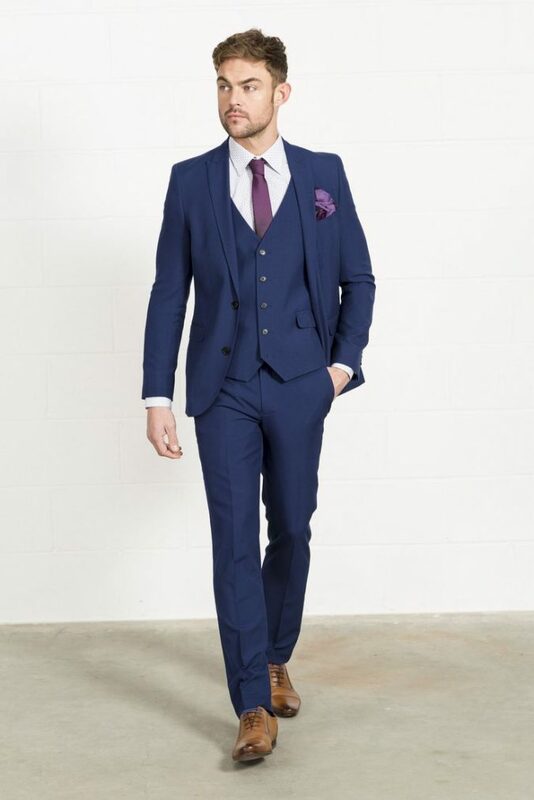 Wear all the three pieces of a formal outfit, and wear them in blue; the jacket, the pants, and the vest underneath the jacket as well, and add a purely white shirt below them. 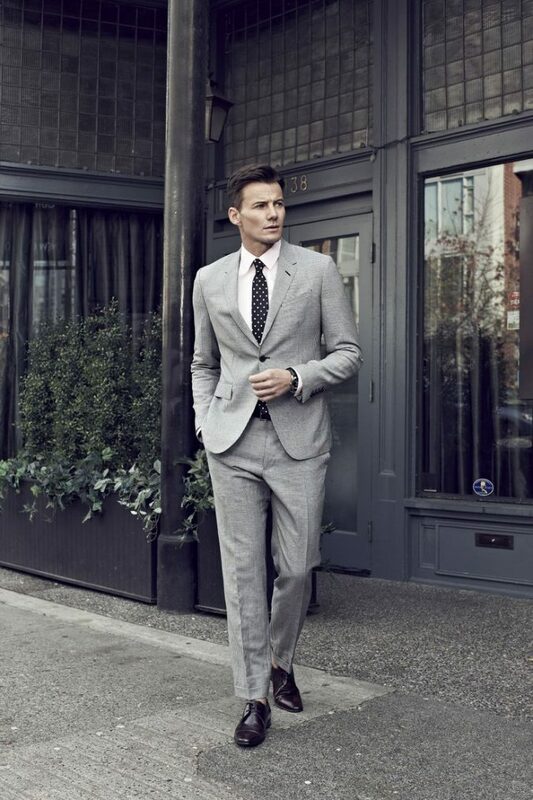 You are going to look like you exerted a great effort to look just right, though you might haven’t exerted any. 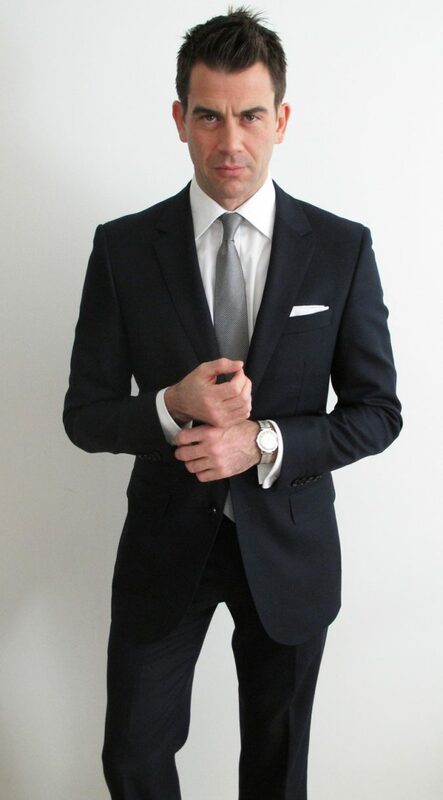 Despite the fact that the style of that suit is a bit traditional and old-fashioned, but wearing such suit can never go wrong, and all the ladies still think that men look stunning wearing that thing on. 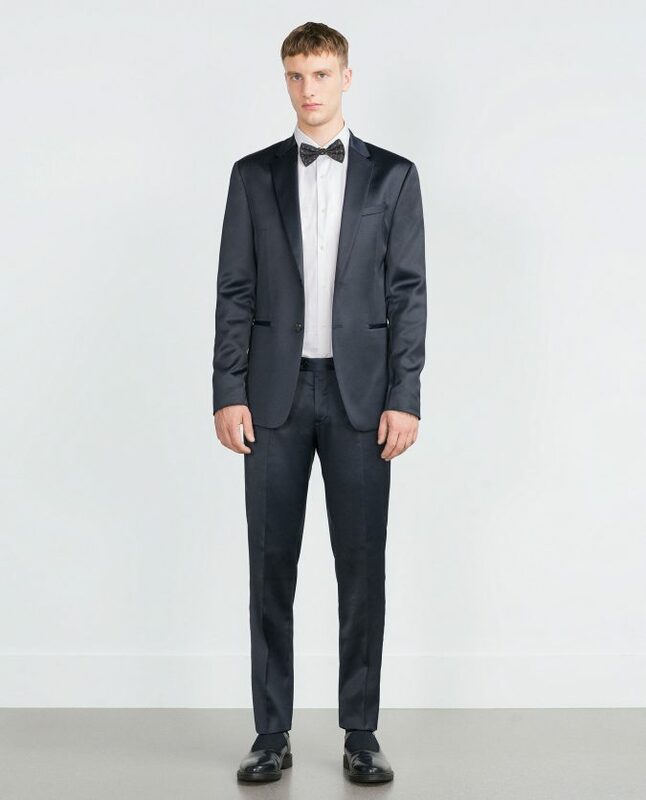 Wear along, a pair of leather black shoes for having the perfect classical combination. 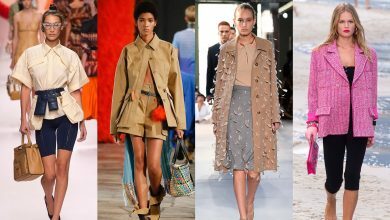 Neutral colors are very delightful, right? 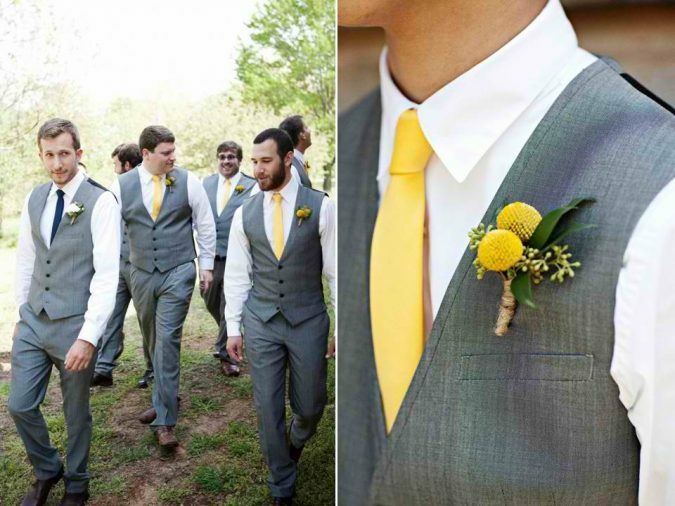 So why don’t you try putting on such bright colors instead, they will look fabulous, especially if the wedding party is taking place at night. 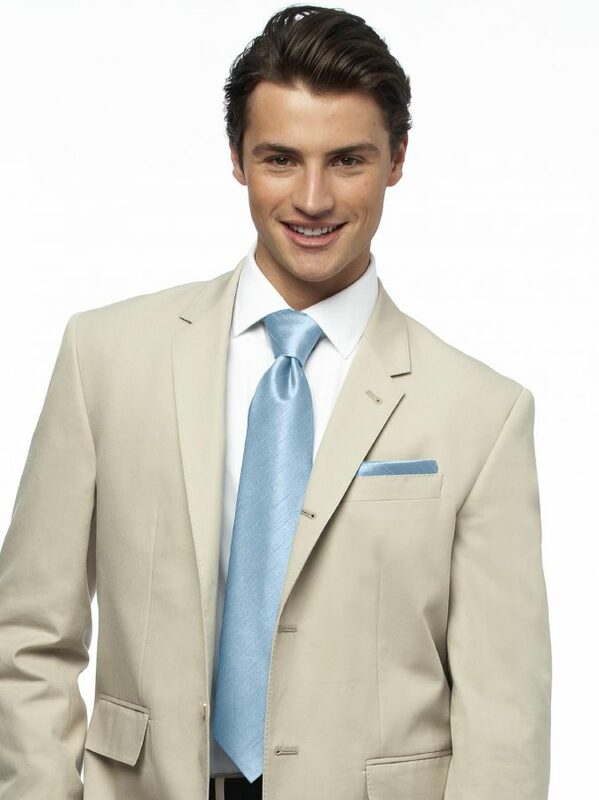 For neutral tones, you can wear a beige or an off white suit, and pair them with a pastel colored tie. 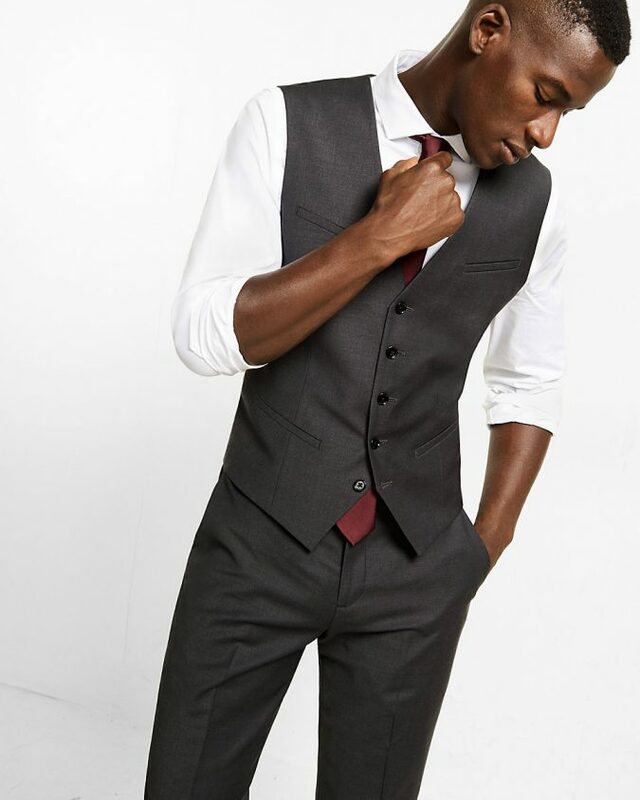 Vests are the best choice for all of those men who feel uncomfortable moving with a blazer. 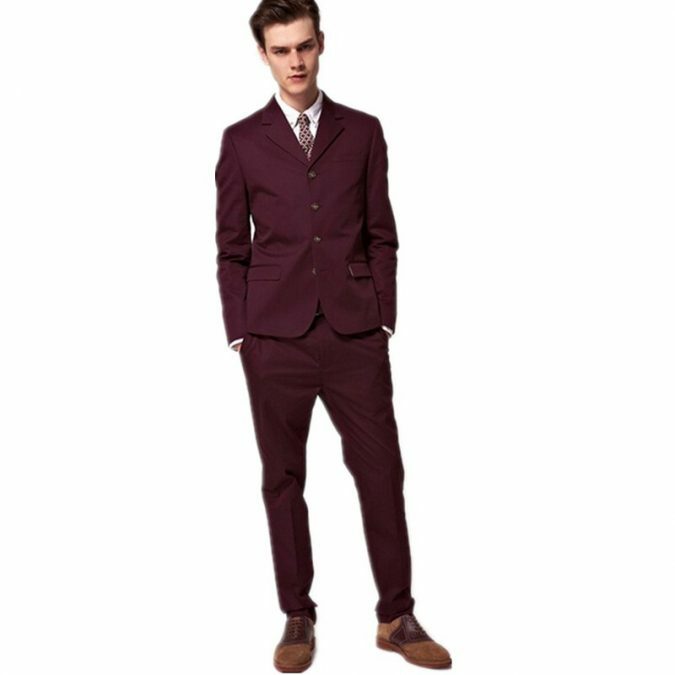 If you are one of them, then wear matching vests and pants, and you can choose the color of the shirt below accordingly. 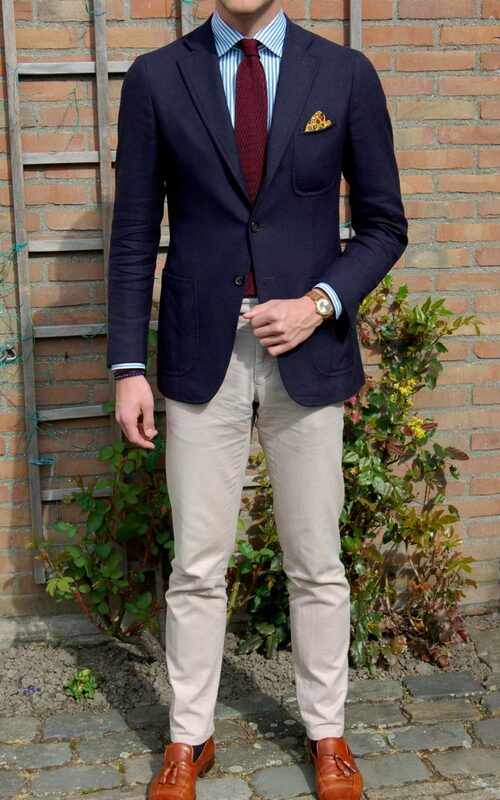 Don’t forget to add a classic tie too, and wear a pair of classic loafers. 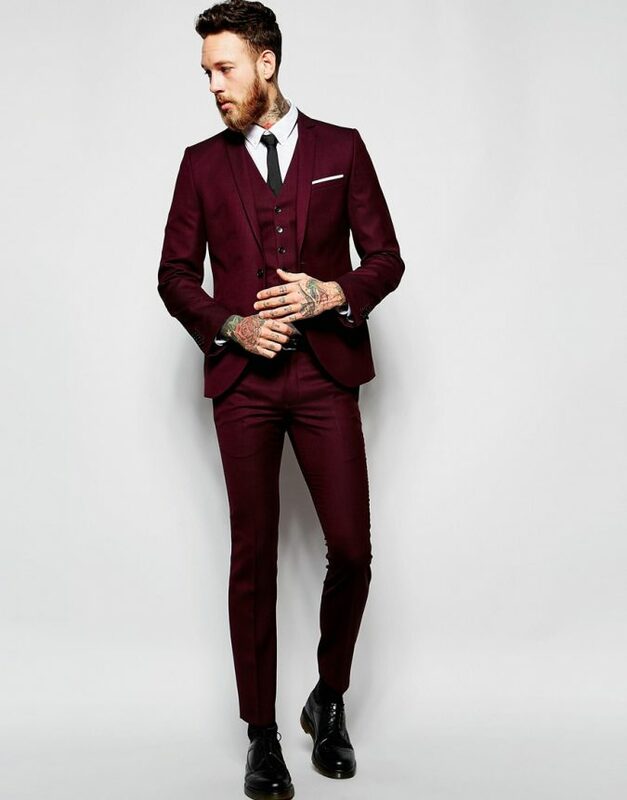 Sneakers are not formal and are not supposed to be worn in an occasion like a wedding, but pairing it with a burgundy suit can let you get away with it, and people might not notice, but just make sure you have asked about the dress code before taking that decision. 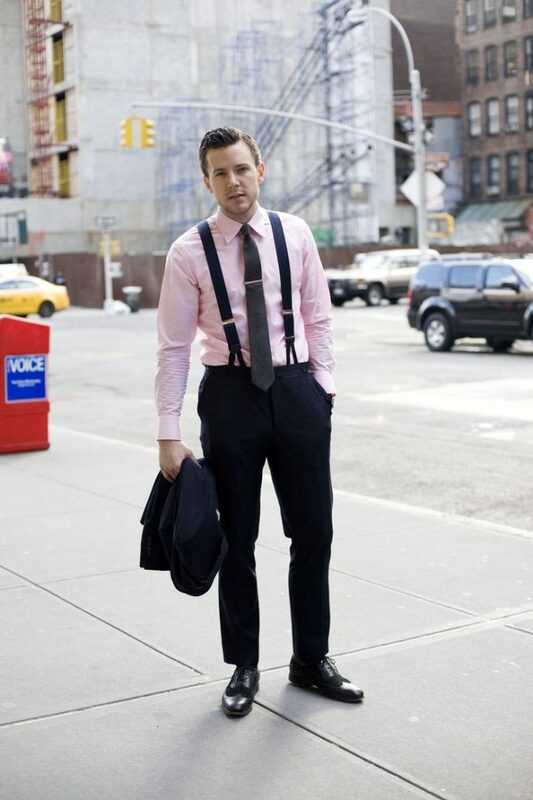 Suspenders are fun, and they also look classy and perfect to wear for a wedding. 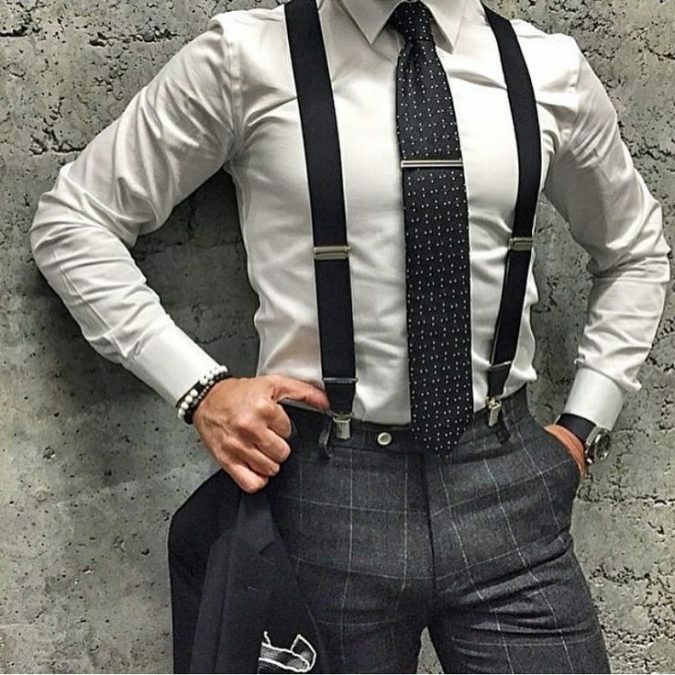 So here is another stylish look for all of the formal wear haters; Ditch the suit wear, and wear a nice shirt, either plain or check patterned, with a suit pants along with a matched color suspenders, and a pair of classic loafers. 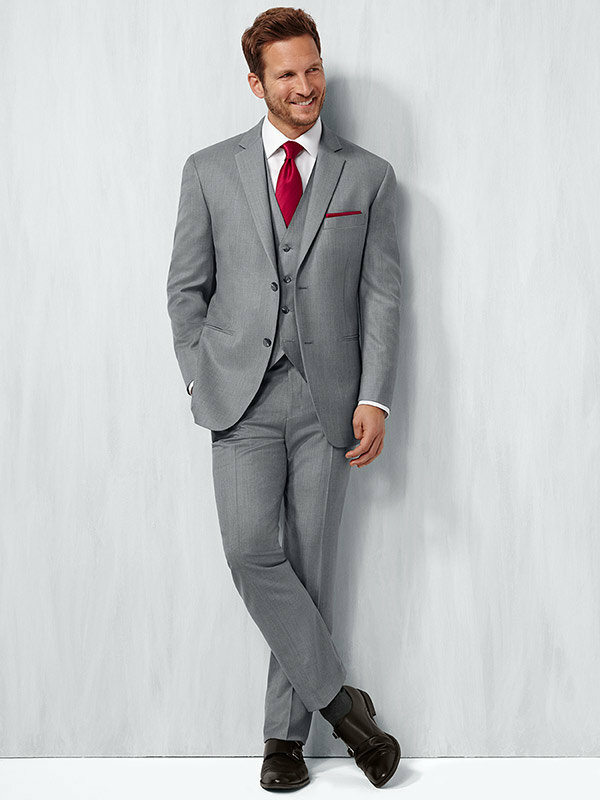 This outfit is considered semi-formal, so it is not that formal that you hate, but it still looks elegant to attend a wedding with. 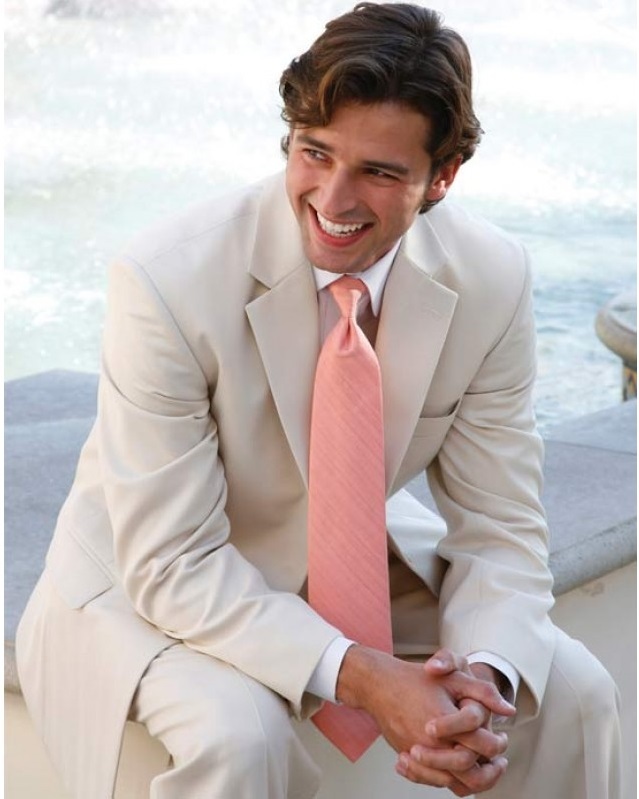 Satin suits are considered very comfortable and more elastic to a lot of people. 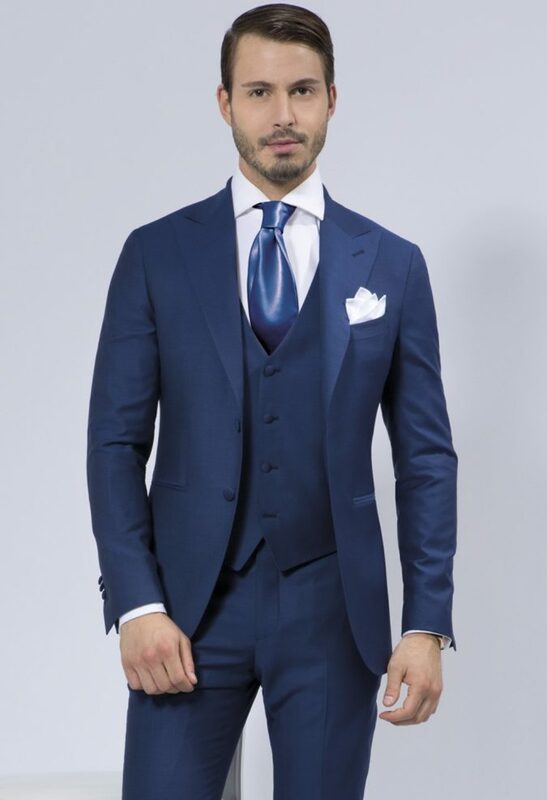 If that is the case for you do not hesitate on putting one on, and it does not have to be black, in fact, navy is considered a classic color too, so why not? 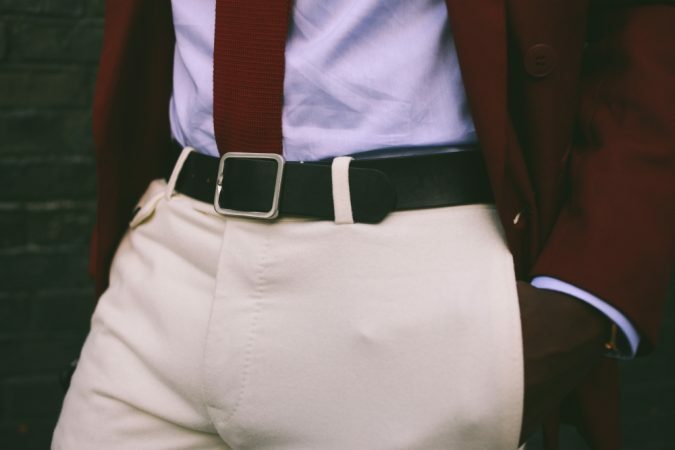 Belts are very important accessory that should be included in the outfits of occasions like weddings. 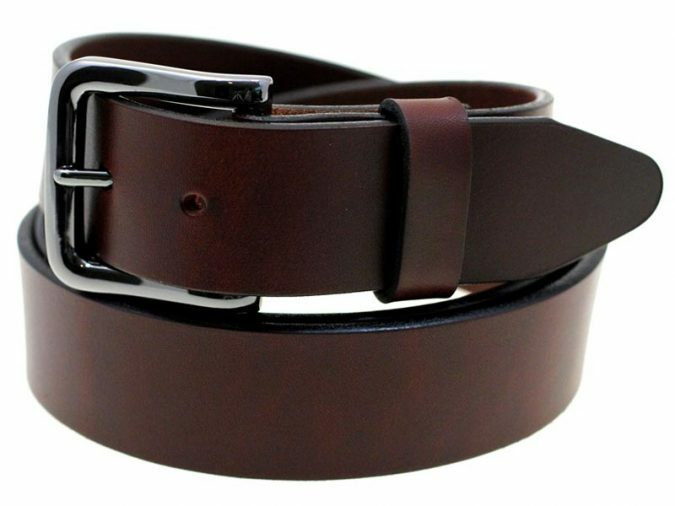 Leather belts add a nice brush up to your overall appearance, especially when you are having your shirt tucked in. 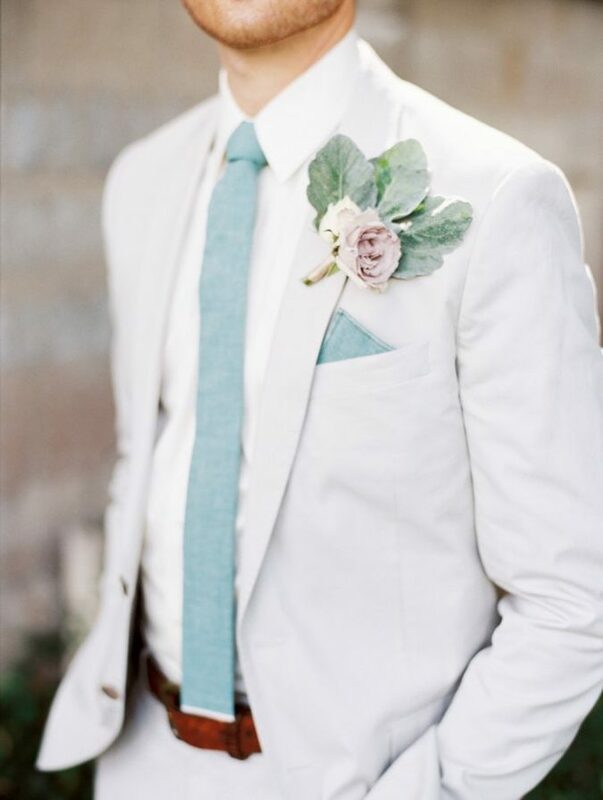 Denim are another trend that is not supposed to be worn in a wedding, but that does not make them any less stylish, they might just be perfect for different occasions; however, some men still wear them in weddings, and to be honest, they still look fabulous. 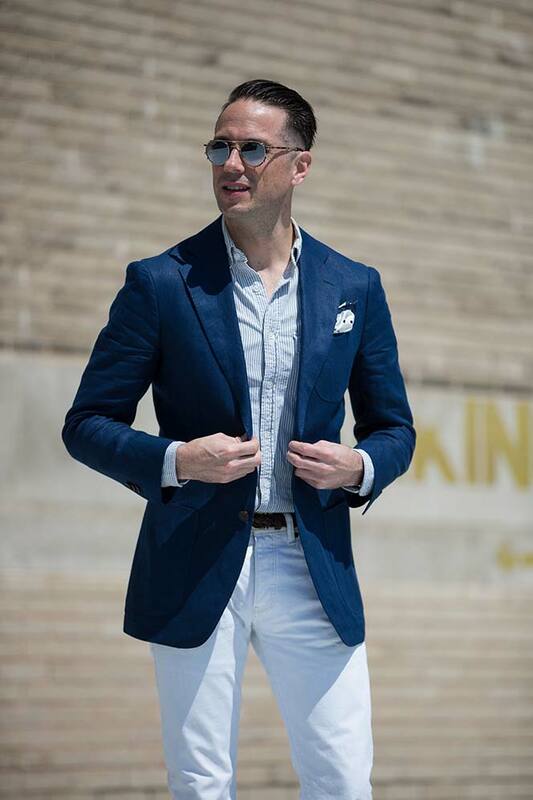 If you feel more comfortable wearing denim pants, then go ahead, but at least try to keep the upper part a bit more classic, so pair your denim pants with a blazer and a classic white shirt. 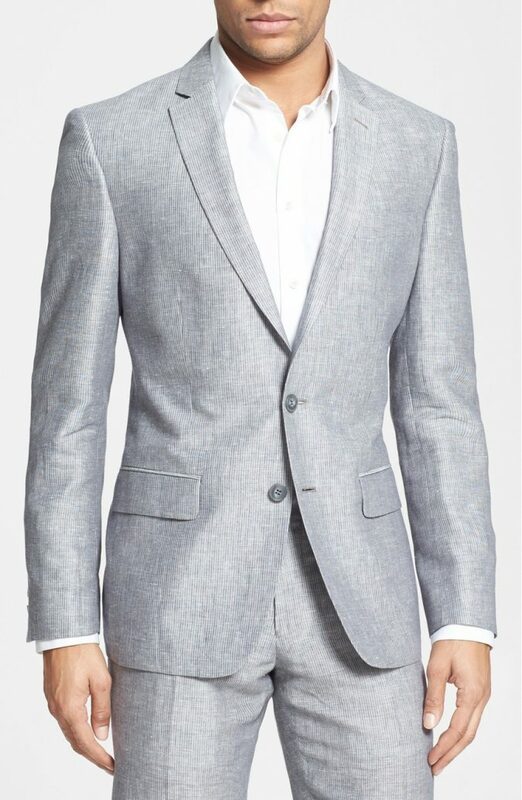 By casual we do not mean wearing a shirt and a pair of denim pants to a wedding, no of course not, but we mean wearing separate pieces that are still suitable for a wedding. 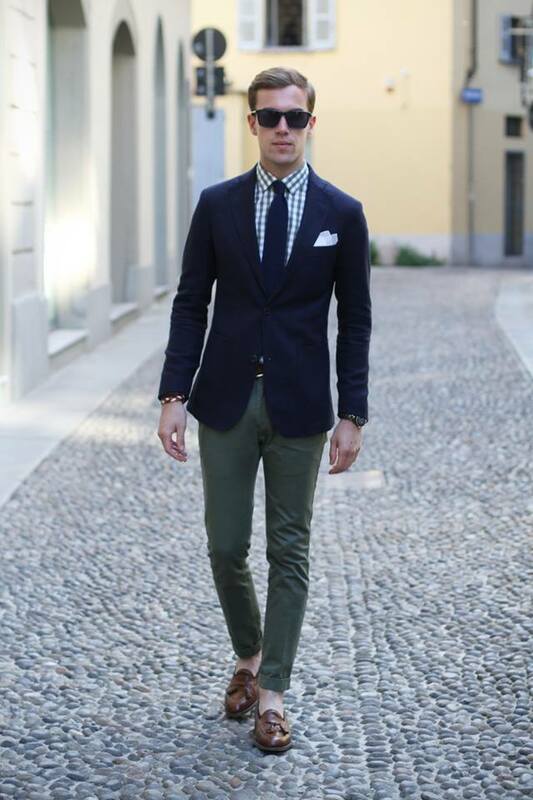 For example, you can wear a navy blazer with checkered shirt below it, and wear a pair of khaki pants. 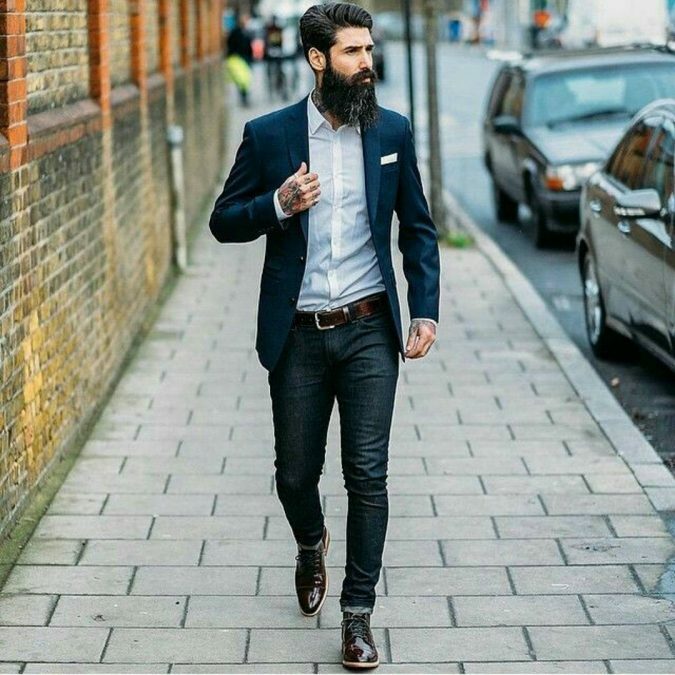 And do not forget to wear classic black loafers, and we promise you a trendy and fabulous look. 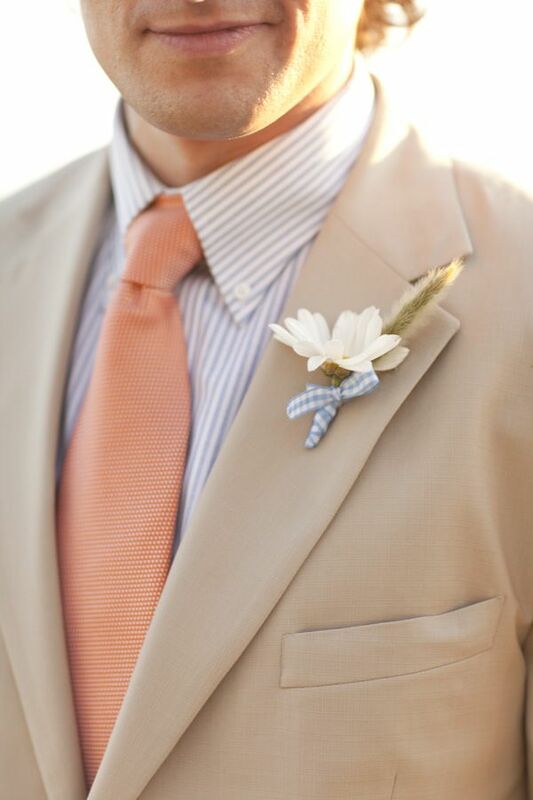 We cannot stress enough on the importance of the classic accessories, and the impact they add to the whole attire. 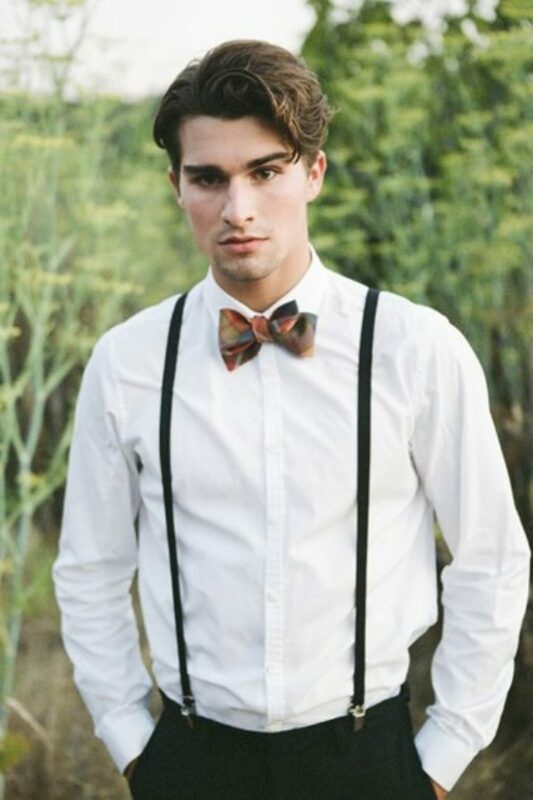 By accessories we mean bowties or just regular ties; they guarantee you the classic charming look that you are after. 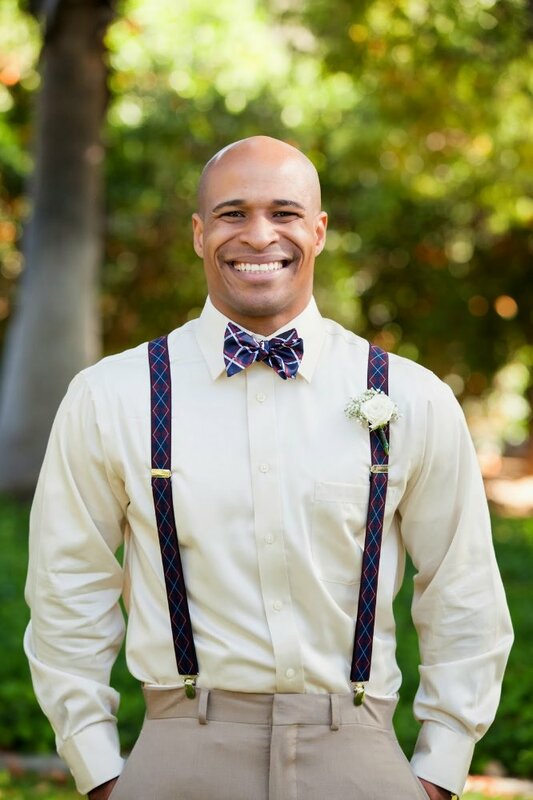 Besides, they do not have to be only black, there are a lot of other shapes and colors that you can select from, like polka dots bow ties, colorful ties, and the list keeps going on and on. 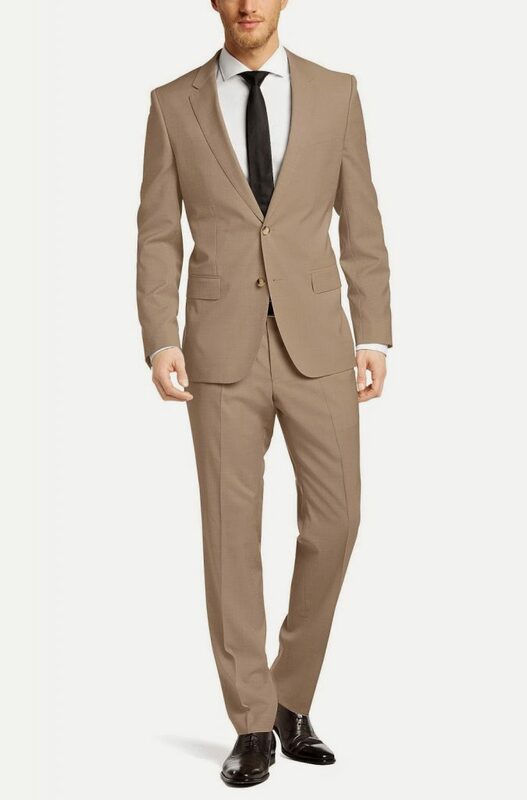 Just make sure that whatever color you choose, goes accordingly with your whole attire. 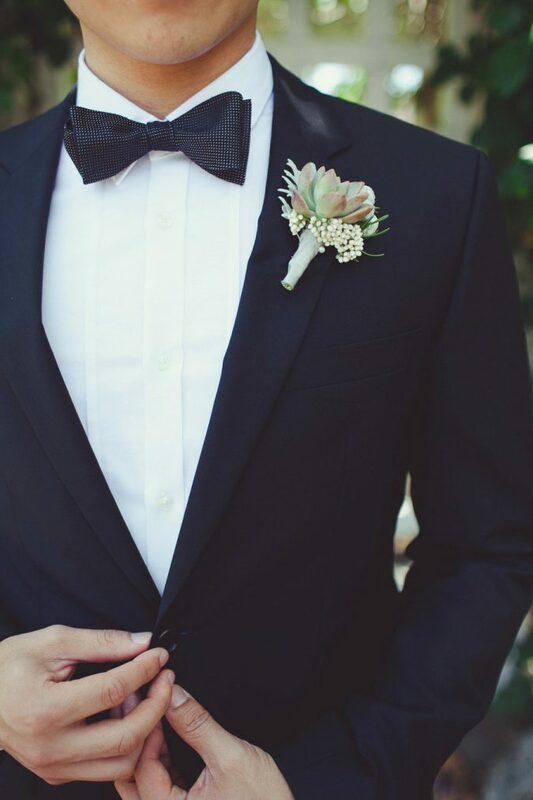 Most importantly, after you have already exerted an effort trying to look all put together, do not forget to celebrate excessively, dance your heart out, and sing as loud as you can, for it is a wedding party, and that is how parties are supposed to be, extremely fun and energetic. Rejoice, enjoy yourself and have a great time!